Today I will lead you through the process of creating Astoria service. It is pretty easy as you’ll see. In my previous post I described the required packages to run Astoria. We select accordingly the connection to MS SQL Server which has AdventureWorks dabatase. When we have class generated all we have to done is to set Context Object for EF Model. We enter AdventureWorksModel.AdventureWorksEntities and compile. And this is all! We are ready to use it. It was pretty easy, wasn’t it? We, software engineers, have interesting profesion, don't we? The result of our job should make life of the customers easier. But there is something else that keeps us in front of the screen. And this is to make things work in our way. Especially when we are able to find out how the internals work we feel like in the heaven :). There is a tool called SQL Internals Viewer that allows look into the SQL Server storage engine and see how data is physically allocated, organised and stored. There is no need to say how much we can benefit form this knowledge. 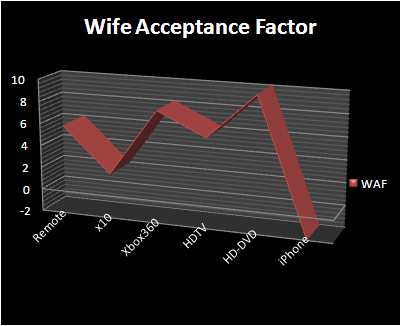 Today I came across new acronym - WAF (Woman/Wife Acceptance Factor). According Wikipedia it relies on the cliché that men are driven by certain geekiness when it comes to acquisitions like home theater or PCs, disregarding the female aspects of aesthetics, design and practical/financial considerations. Although XML has good support in SQL 2005 I haven't used it heavily 'till today. I had to optimize an application that uses a table with two XML columns. These columns were of type text and filter operations against them was costly. Although this is not the best way to acheve it it worked... slowly :) So it worths to invest some time to make the changes. I know the columns should be converted to type XML but I didn't know if this would speed up the process either how to manipulate xml from T-SQL. In order to get value from XML we need two thigs- XQuery that specifies which nodes to be returned (@id specify the attribute) and in square brackets which value to be returned if there are more than one nodes with same name (as in our case). SELECT failed because the following SET options have incorrect settings: 'ARITHABORT'. Verify that SET options are correct for use with indexed views and/or indexes on computed columns and/or query notifications and/or xml data type methods. So including "SET ARITHABORT ON;" above every SQL statement used in the code solved the issue. There is a lot of noise these days around Visual Studio 2008 and fancy LINQ to SQL and Entity Framework and discussions how they will change the way data driven applications is done. But somethign was missed 'till now - How this would affect database administrators (DBAs)? Erick Thompson post a good explanation about these technologies that targets DBA and explain what will be changed on their daily job. Go and read ADO.NET Blog post - it worths. 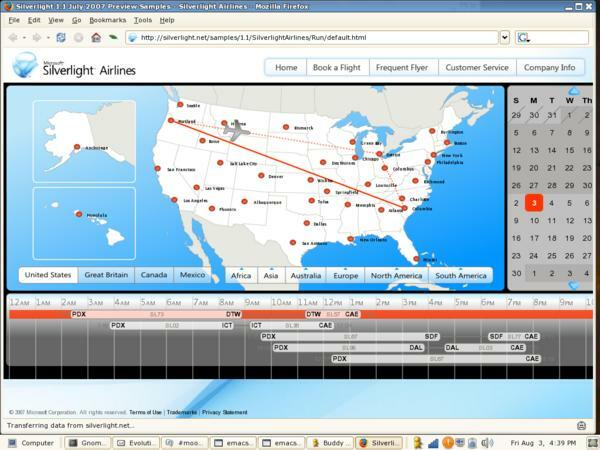 On September 4th, 2007 9 PM PST Microsoft released to web (RTW) Silverlight 1.0 and announced that they will work together with Novell Inc. to enable silverliht applications on Linux. There is another RTW Expression Encoder 1.0 release on the web. Expression Encoder is part of the Microsoft Expression suite of products, and enables designers and content professionals to enhance, encode and publish media content for Silverlight. 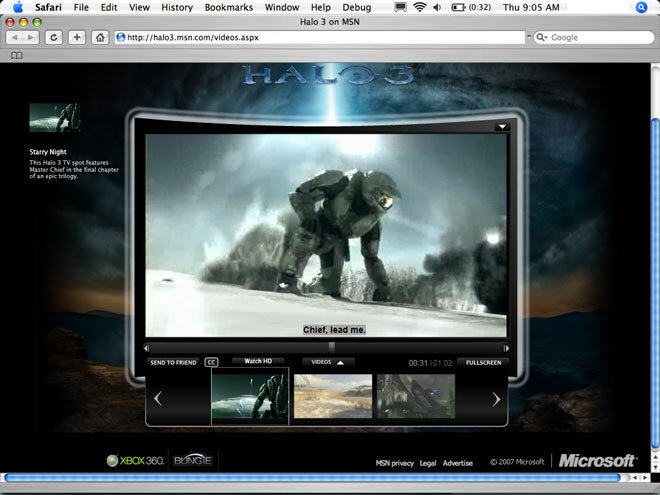 You can use it to import media files from a variety of formats (QuickTime, WMV, AVI and more), add leaders and trailers to videos for advertising or roll credits, easily watermark video with corporate logos or brands, and then tune the encoding settings to create optimal web-friendly Silverlight experiences.